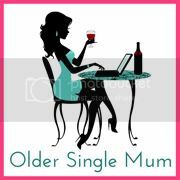 Older Single Mum: Single Mums' Stories - Mel (HerMelness) Sealy Fargo. Single Mums' Stories - Mel (HerMelness) Sealy Fargo. As promised, kicking off the series of Stories from Single Mums, to challenge all our perceptions of them, we have the incredible Mel of Hermelness Speaks. We all know that Single Dads are heroes and are deservedly perceived as such, yet the term 'Single Mum' generally conjures up a scenario that is misguided at best, or narrow minded and judgmental at worst. It is my mission to change this and I have asked a few classy ladies to tell us their tales. They are inspiring and, obviously, also heroic, naturally, each in a different set of circumstances from those so casually predicted by lazy media. Mel is nearly 50, goddamn beautiful for it and is a recently widowed parent to two boys and two girls aged 23, 20, 16 and 13. She unashamedly takes the 'old school' approach to parenting and will be speaking at the BritMums Live! conference in June. The lovely Anya Harris of the Older Single Mum blog, is anxious to change general perception that single mums are in the main “young, uneducated Council estate dwellers.” She has asked for my take on things to kick off this worthy blogging series. Another reminder that I am, on paper at least, a single mum. And, of course, Anya is right. 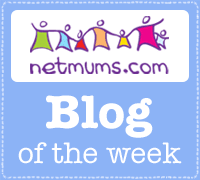 There are wildly different reasons and stories why we are or become single mums. Stories she would like to hear. While obliging, though, I have to say this a label I do not identify with. I haven’t been ‘single’ since before George Michael was straight, an inanimate object couldn’t be gay and the word used to mean only a happy state. A long time, then. My husband’s death has not changed that. Has not changed my perception of myself. My take? I learnt at cost that it is less other people’s perception that does damage, but the power we ourselves imbue into labels - for good or ill.
Having spent a long time peeling un-asked for labels from my own back, I no longer stick on any that I have not written. That I have not made true. I could, for instance, be a single, uneducated mum living on a Council estate. Factual. Because others in those same circumstances may have tipped perception into negative connotation does not make me less than. And there is not a damned thing the young, single, uneducated mother can do against a media machine which habitually lauds the sensational. Machinery less interested in seeking out young women living decent lives trying to raise children alone in a crazy world just like the rest of us. Well, there is perhaps lots she could do if she wasn’t busy being a single mum raising children alone in a crazy world. My take is a certain pride in young women who do not have the benefit of ‘education’, the semi-detached terraced house and a spouse to co-parent with. They are making it happen without the benefit of these privileges. How well are we doing with ours? As a former card carrying member of The General Perception Brigade, this is now my perception of the single, uneducated mum living on a Council estate. Count me in - I have a tale to tell! Excellent start to what will be an excellent series! I like this point of view - no one can humiliate you if you refuse to feel humiliated.